Jonathan Rea has a proud record at Assen in the Netherlands. BMW Motorrad’s Tom Sykes (1m 35.414s) set the pace after a hot late lap in FP2 knocked Ulsterman Rea off the top spot by only 0.003 seconds. 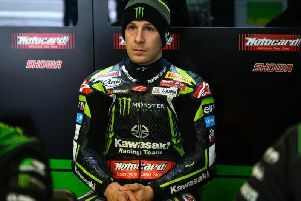 World Superbike champion Jonathan Rea was second fastest during free practice at Assen on Friday. Incredibly, Aruba.it Ducati rider Bautista was only 0.133s off Sykes’ benchmark, but that was only good enough to place the Spaniard in the top six. 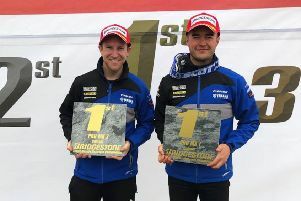 Rea’s Kawasaki team-mate, Leon Haslam, was third fastest, 0.010s behind the four-time champion, while Marcus Reiterberger slotted into fourth on the second of the factory BMW Motorrad S1000RR machines. Home hero Michael van der Mark was fifth on the Pata Yamaha ahead of Bautista, while Eugene Laverty was 11th on the Team Go Eleven Ducati. Bautista leads the series by 39 points over Rea after making an unbeaten start on the new Ducati V4, winning all nine races held so far over the first three rounds. The Dutch TT has proven a happy hunting ground for Rea in the past and the reigning champion will be pulling out all the stops in an effort to cut Bautista’s advantage at the top this weekend. Superpole qualifying takes place on Saturday ahead of the first race (13:00 BST).